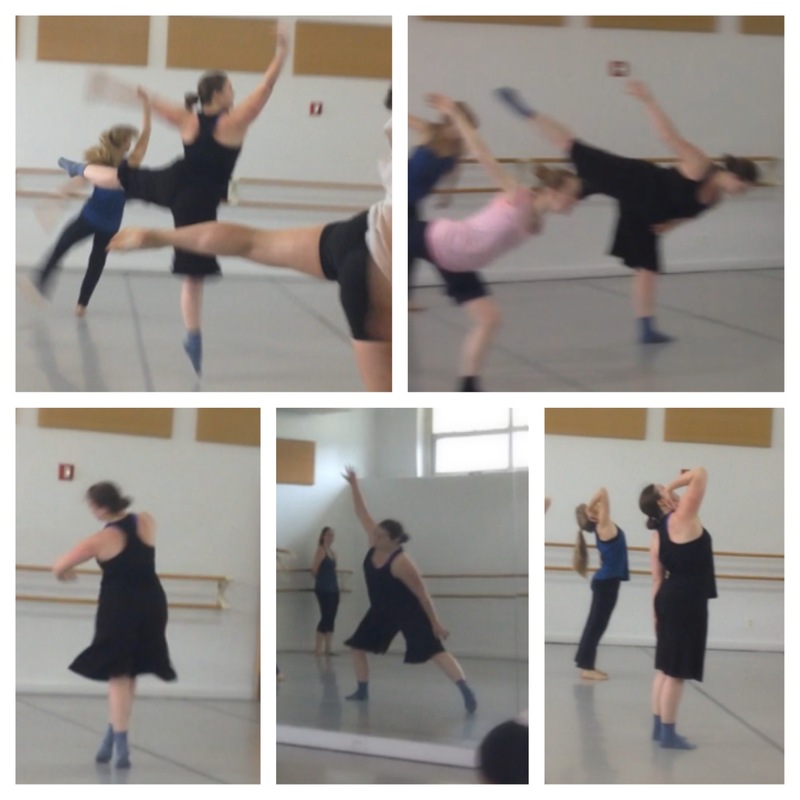 End of May, End of Bootcamp, Start of…? And then, last night, the Fearless Fifteeners had a group dinner. There were about 16 of us, some New Yorkers and others who are in town for BEA. I definitely met six or eight new faces! We talked and talked and had a blast. As I inch closer to my pub date (and I promise I'll be able to tell you when that is very soon! ), I'm so thankful for all of the networking I'm able to do and the friendships I'm developing—with published, soon-to-be-published, and aspiring authors. I can't say it enough: It's so good to be reminded that we're all in the same boat. Or have been in the same boat. Or will be in the same boat. I'm home in Brooklyn after my week with family, and it feels great to be back in my routine today. I slept in my own bed, sat at my own desk with coffee brewed in my own coffeepot and drunk out of my own mug, took a lunchtime dance class, and now am at my new favorite post-dance-class cafe. Life is good! And being back to my normal life isn't the only reason life is good. Things have been pretty awesome since I checked in last week. I received my galley pages for THE DISTANCE BETWEEN LOST AND FOUND! I can't express how amazing it is to see my book laid out like a *real book,* with a font and chapter headings and section divisions and, you know, all the things actual books have. It looks so different than the Times New Roman MS Word doc I've been staring at for so long! Anyway, I have the next week and a half to scan the pages for errors, and knowing me I'll need to do more than one thorough read to feel at ease about sending the book to the printer, so… as I said, good thing I finished the new book's first draft last week. So as Bootcamp winds down, I'm pretty much done with my writing goals. These three months have been a kick in the pants and a great morale booster. I've gotten so much done! Thanks to all of the YA Buccaneers—and everyone who participated in the Bootcamp—for giving me the encouragement I needed to push through. And here's one more shout-out to my splendiferous teammates: Winter Bayne, Riley Darkes, Emma L. Adams, Kate Scott, Angel Leigh, and Tonette de la Luna! I look forward to seeing what all of you accomplish in the future! Go Team Mazama! Last week I hammered out some serious words on my WIP, and as of today I am approximately 2 1/2 chapters from the end! 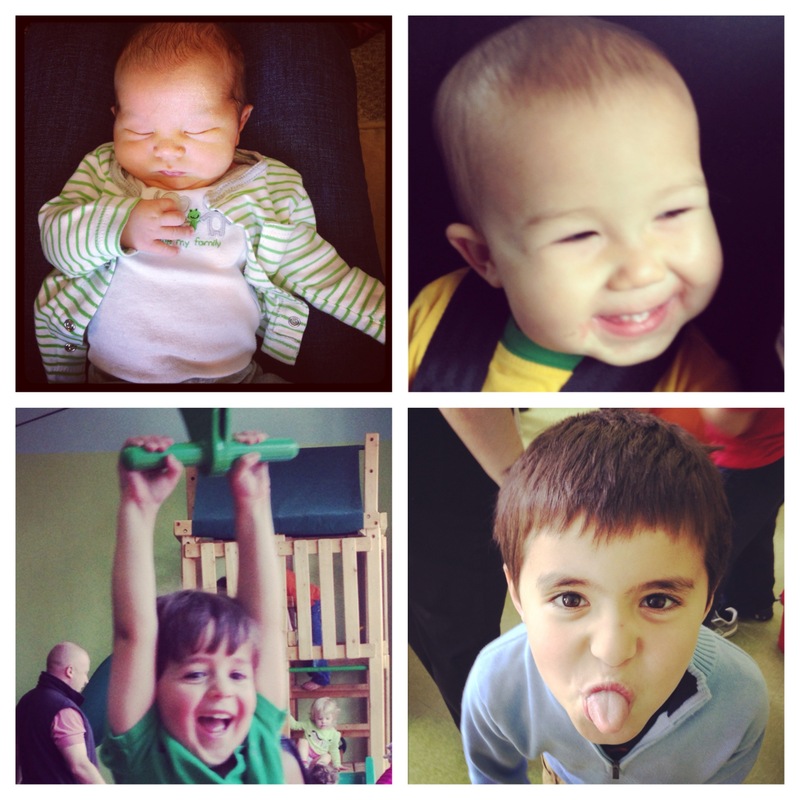 So… depending on the nephews' naptimes, I might even make it there this week. We shall see. Regardless, I am racing toward the finish line of this first draft. I passed 60K last week, and I know what the last two chapters need to be, so it's just a matter of writing them. Then I can officially say I have written THREE books, which is pretty darn cool! 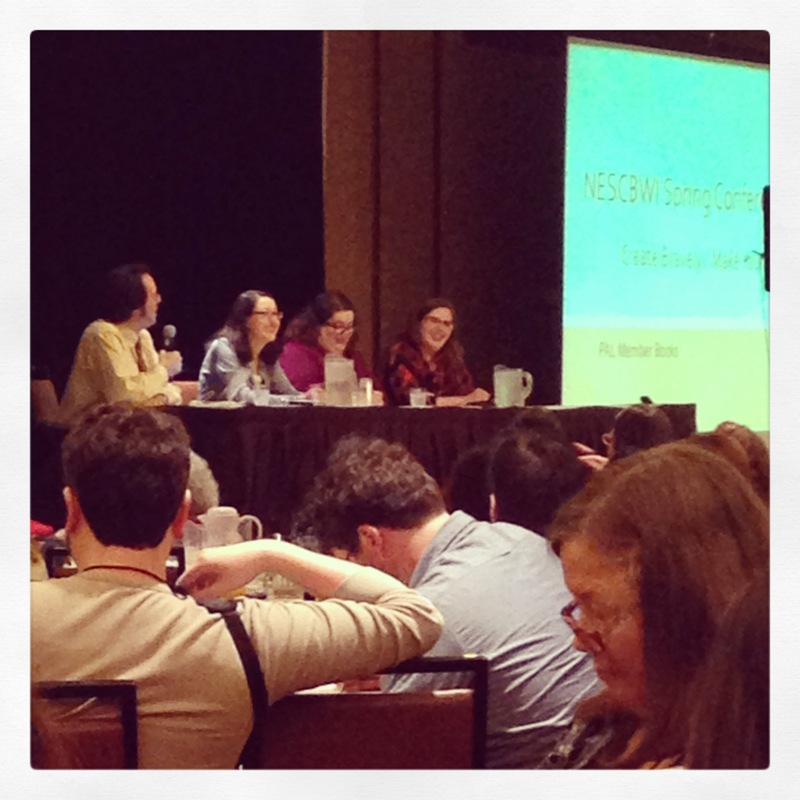 Last weekend, I went to the New England SCBWI conference in Springfield, MA, with my writer-buddy Ghenet Myrthil, and on Monday I promised you a quick recap…so here it is! I had a blast. …okay, I'll tell you a little more than that. The weekend was a great mix of networking, listening to industry experts share their wisdom, and honing my craft. 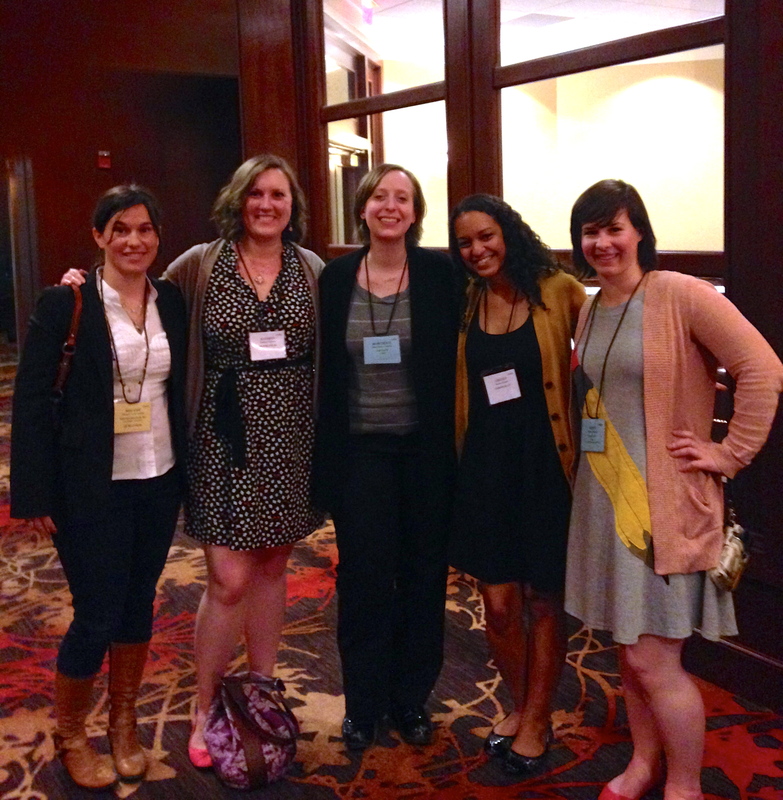 On the networking side, I made a bunch of new writer friends. They crossed the spectrum from aspiring authors to those with relatively new book deals to veterans with one or more books on shelves already. We talked about our processes, our current projects, and our paths to publication. We compared notes from the different sessions we attended and talked about our lives outside of writing. And of course, I added quite a few books to my TBR (to be read) pile. The best part? Since we pretty much all followed each other on Twitter right away, I can easily keep in touch with all of them going forward. As far as the sessions themselves, I truly lucked out in my choices. I attended some great workshops. I learned how to craft my brand as an author—without putting myself in a box. I got tips on refining my characters and on adding suspense to my narratives. I took a close look at the first page of my new work in progress, to make it the best it can be. I learned ways to draw on my personal history in my fiction without getting bogged down in "what really happened." Nova Ren Suma gave a fabulous talk on crafting a memorable first-person voice—and then signed my copy of her novel 17 & GONE. Julie Berry (who blurbed my book, something I still can't stop smiling about) and her editor Kendra Levin gave advice—and a ton of writing exercises—for getting outside of the writing comfort zone. All of that…on top of the various publishing panels that everyone attended! Is it any wonder I came home with my head spinning? So would I go to this conference again? Definitely! It's smaller-scale and more intimate than the Los Angeles one I attended last August, while still having an array of amazing resources and workshops available for attendees. I met some awesome people and learned a lot. And it was only a short trip away from NYC! Now… I have to start packing to go out of town again tomorrow. I'm headed home to see my family, including my brand-new nephew who was born yesterday. And I promise I'll try to get some writing done while there! YAB Bootcamp Check-In: OMG, it's May! How are we in month three of Bootcamp already? I truly don't know where the spring has gone. That said, the weather keeps getting nicer and nicer, so I definitely don't want to go back in time (or temperature). Plus, I'm still making great forward progress on my first draft of EVERYTHING'S BEAUTIFUL, and I don't want to lose momentum in the slightest! Last week I moved forward another three chapters. The manuscript total is now 58,500 words! I have another four to six chapters to go (one of which is written but needs revision), so I think I will end up with a 65-70K final word count. Right on target! Beyond that, I'm excited to be on track to finish my draft this month, as I'd hoped. Woohoo! 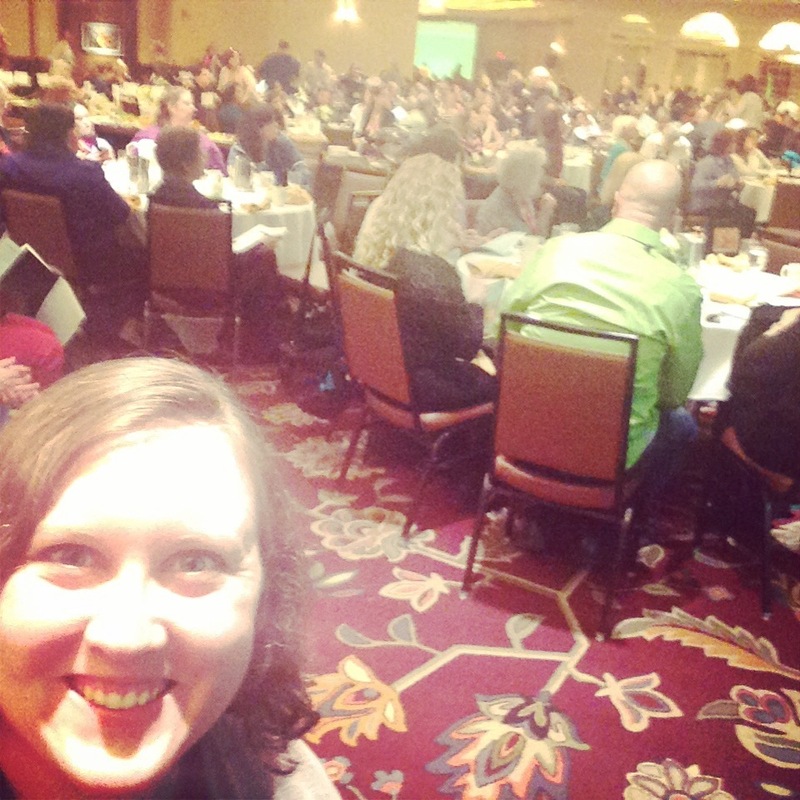 This past weekend, I was at the New England Society of Children's Book Writers and Illustrators (SCBWI) conference in Springfield, MA. I'll cover the amazing conference in a separate post later this week, but I did want to say that it was fun to go to a conference while in the throes of a first draft. I was able to apply a lot of the in-session writing exercises we did to EVERYTHING'S BEAUTIFUL. I figured out some key character details I want to add during revisions. 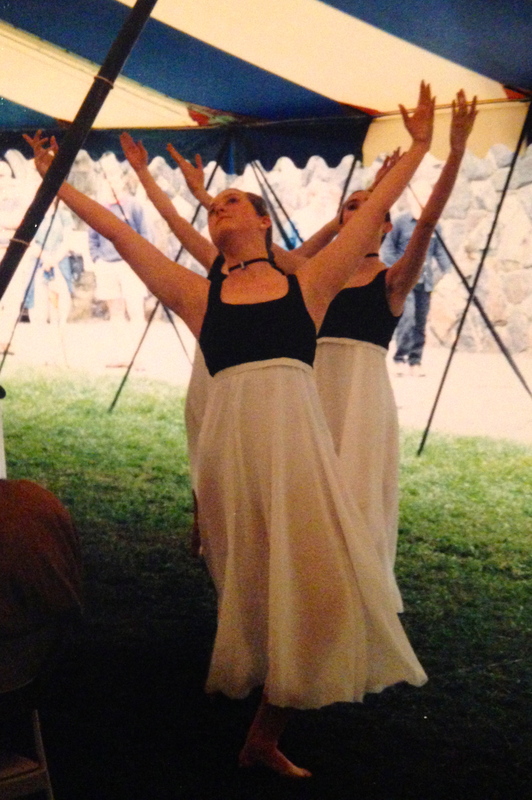 Plus, remember last week, when I mentioned my ongoing struggle to find a balance between my personal experiences as a teen in the ballet world and my character's separate journey? I attended a great workshop yesterday on how to draw from your real life experiences and personal history in your fiction, and I can't wait to put the tips Karen Day shared with us into practice in my manuscript. This week I am going to write, write, write—before I head out of town on Friday for all of my family travels. Wish me luck! 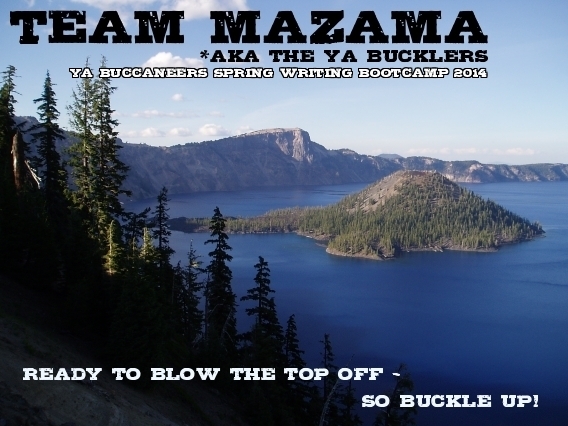 Oh, and don't forget to send good vibes to the rest of Team Mazama as we head into the Bootcamp home stretch. The YA Bucklers are: Kate Scott, Emma L. Adams, Winter Bayne, Angel Leigh, Riley Darkes, and Tonette de la Luna. Today, for something a little different, I'm participating in a blog hop that's been making the rounds lately: My Writing Process. I was tagged by the lovely and talented Ghenet Myrthil (follow her on Twitter), who I've known since grad school. We got our MFAs in Creative Writing from The New School together, and I'm lucky to still have Ghenet as one of my manuscript readers to this day! So here we go. Blog hop ahoy. Right now, I am first-drafting a new manuscript with the working title EVERYTHING'S BEAUTIFUL. It's a YA Contemporary about a 16-year-old ballet dancer with body image issues who gets sent to an anxiety camp for elite teen artists and athletes. This book is pretty personal to me because, well, I was a teen ballet dancer with body image issues—so I've been struggling to get the story right and figure out who my character really is, separate from me and my own experiences. I think I'm finally on the right track, but I don't want to give any more details away until I'm sure! There is a lot of *amazing* YA Contemporary out there. Rather than think about how I stand apart from those wonderful authors, I guess I want to try to join their ranks! I want to create honest, lyrical stories where the prose is finely crafted and the characters and their journeys strike a true chord. That said, my book that's coming out from HarperCollins in early 2015, THE DISTANCE BETWEEN LOST AND FOUND, does tackle a subject that I don't think appears often enough in YA literature: faith. The characters in TDBL&F start off in a religious setting (before getting lost in the mountains), and faith is a thread that runs through the book. Religion is a fact of so many teens' lives, to varying degrees, and those teens deserve to see their world and their struggles reflected in their literature. The book I'm working on now is only my third novel, but based on my experience so far, I'd say I write stories that captivate me. Whether that starts with the main character, as both TDBL&F and my new WIP did, or with an image/idea I can't get out of my head, as was the case with the book I was working on during and just after grad school (a YA fantasy that's currently on hold, but might be reborn as MG), when something fills my brain, I know I need to write that book. That's why although I've recently been writing YA Contemporary, I can't say for certain that's all I'll ever write! 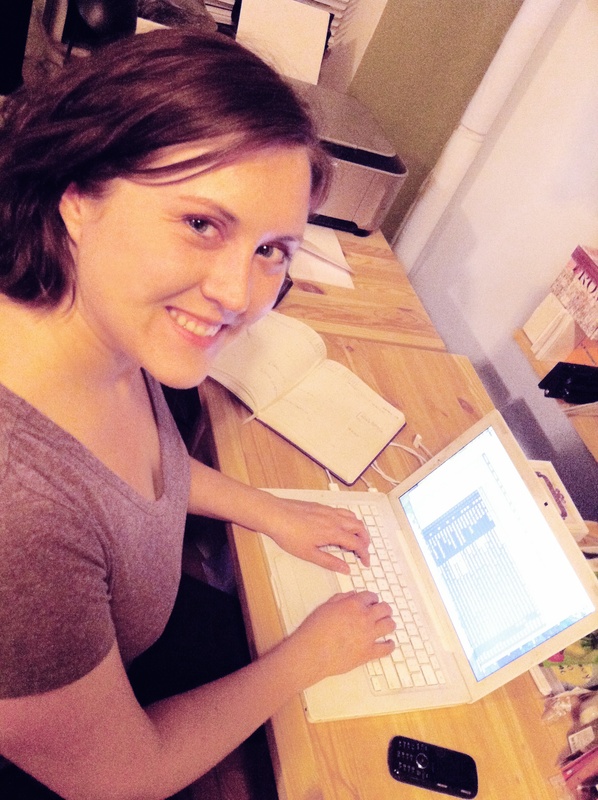 I'm a full-time freelance writer, so fiction-writing is just one of each day's many writing obligations. But that's my process: I do as much freelance work as I need to, money-wise, without taking on so much that I don't have time to devote to writing books. The nature of freelance writing means I have heavy periods and light periods, so how much time gets allocated to book-writing can vary. So does the time of day I write. When I'm really in a writing groove, I'll start with fiction in the morning, because I just can't wait. Then, when I absolutely have to, I'll switch to other work. When I'm not chomping at the bit to work on my book, I'll sometimes get the freelance work out of the way first and save the book-writing for later. I usually take a dance or yoga class in the middle of the day, to get away from my computer and clear my head. Basically, every day is different! Regardless, I am a loose outliner—I like to have key scenes and a rough arc in mind, but I also like to see where the story and characters take me. I like to get to know my characters organically, rather than drawing them out in detail beforehand. Some of my favorite scenes and conversations in TDBL&F were as much a surprise to me as they were to the characters! Okay—now it's my turn to tag some other writer/bloggers. I've drafted two of my fellow YA Buccaneers: Heidi Sinnett and Erin L. Schneider. Heidi is a children's librarian who writes YA Contemporary, and is represented by Marlene Stringer of the Stringer Literary Agency. 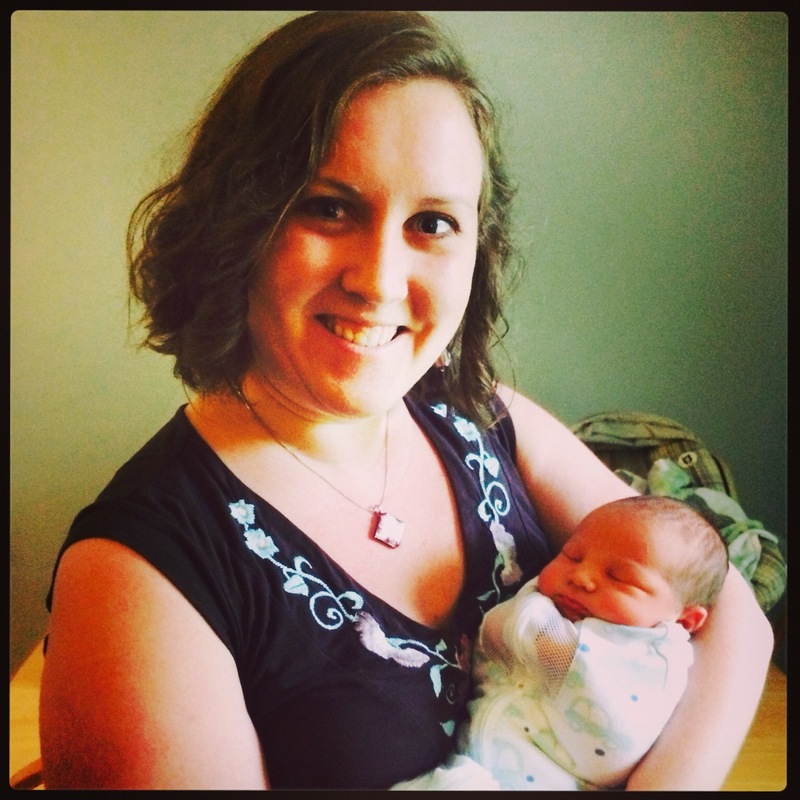 She describes her writing as "too ambitious (sometimes), honest, and twisty." 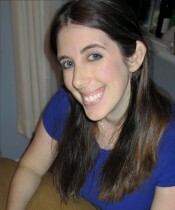 Erin describes her writing as "real, humorous, and relatable." She's been writing seriously for six years and is represented by Lisa Grubka of Fletcher & Company. They'll both be sharing their My Writing Process posts next week! Another week of Bootcamp—and it's finally feeling like spring in NYC! I can't express how much the sunshine and warmer temperatures have boosted my mood and my energy. I'm not a sad, low-energy person by nature, but this year's never-ending winter was rough. Feeling the sun's rays on my face, breathing spring's fresh, slightly pollen-y air, not having to bundle up in a bazillion layers to walk to the subway—it's amazing. 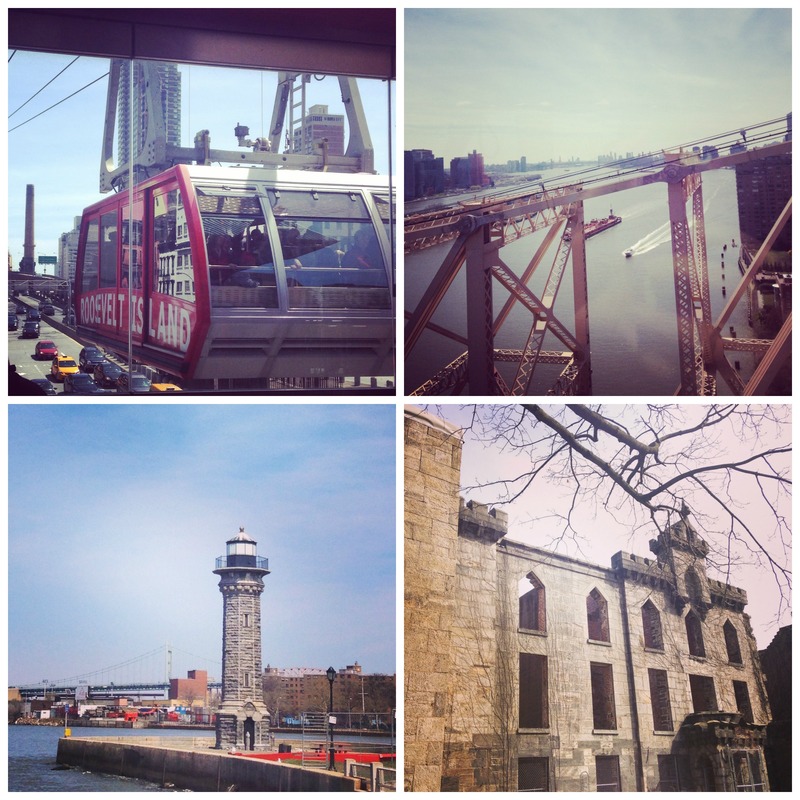 This past weekend, my husband and I took advantage of the gorgeous weather to go to Roosevelt Island. Despite living in NYC for almost 10 years, I'd never actually been to this island in the middle of the East River—even though it's easily accessible both by subway and by a picturesque tram line. We took the tram, obviously. We spent a few hours walking around the island and seeing the sights, from the small lighthouse on the northern end to the new Franklin D. Roosevelt memorial and park on the southernmost tip. Most of the island is residential, but in addition to those two landmarks you can see the ruins of the Smallpox Hospital that opened in 1856 and closed in the 1950s, as well as the Octogon, which is what remains of the New York City Lunatic Asylum from the 1840s (and is now part of a luxury apartment complex). 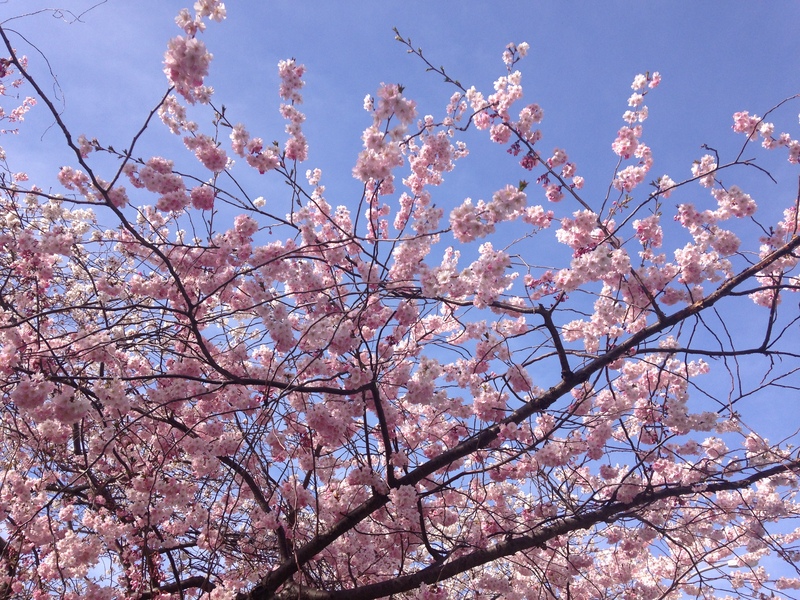 As a bonus, while we were there a lot of the cherry blossom trees on the island were in bloom, which meant the whole place looked especially lovely. On the writing front, I had a great week with my manuscript! I added about 4,000 words to the total, and moved six chapters forward. 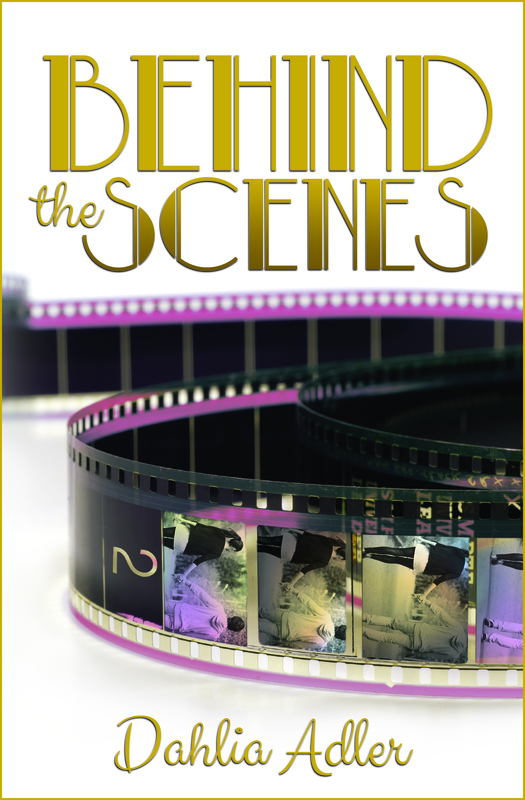 (One chapter was totally new, while the rest involved cutting and revising and adding new scenes and conversations.) If I can do the same this week, I'll be almost three-quarters through this first draft! Not too shabby. 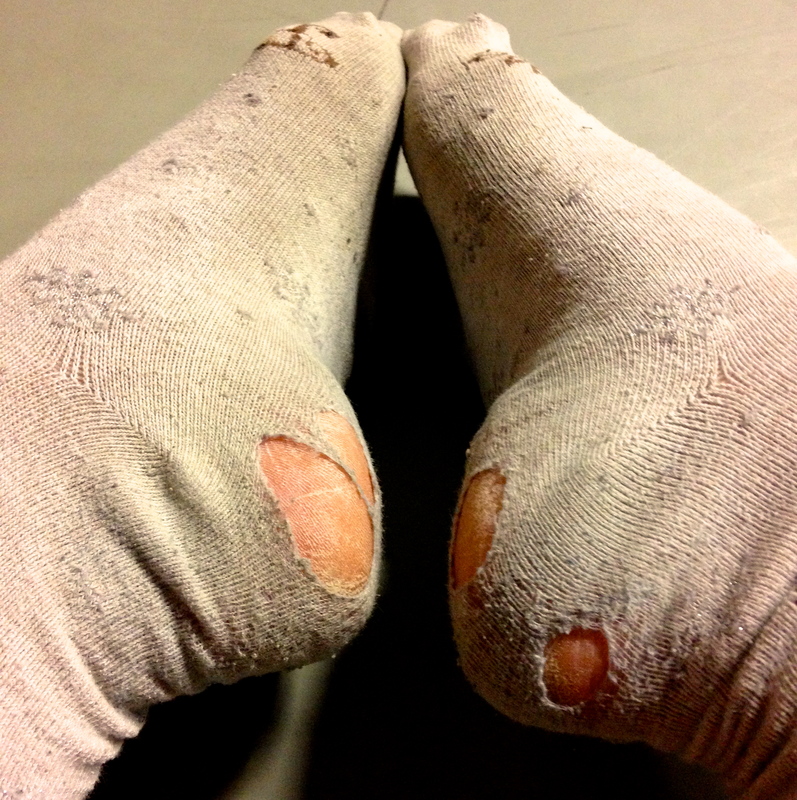 Learn the Ropes: Don't Let Laziness Win! Except for the tiny issue of how crazy the month of May will be for me. The first weekend in May, I'm going to the New England SCBWI conference with my friend Ghenet. Then I'll be back in NYC for a few days, only to fly to Nashville the following weekend. I'll be in Nashville for a week, and while I want to work (actually, I'll need to work at least a little) while there, I'll also be getting in some much-needed family time. My brother and sister-in-law are expecting their second child, and I'm hoping to be there when he arrives! And of course, I want to spend as much time as possible with my adorable nephew Turner, who is about to become a big brother. But back to travels: from Nashville, I'm flying to the DC area for a weekend with my husband's family. We'll be attending birthday parties for both of our nephews on his side—the seven-year-old's on Saturday and the four-year-old's on Sunday. Then it's good old Amtrak back up to NYC for a week at home in Brooklyn, followed by a road trip to Massachusetts over Memorial Day weekend for a dear friend's wedding. Basically, by the time June 1 rolls around, I'm going to be ready to collapse. So much revelry! So many trips, and different modes of transportation! Will I have time to crank out the rest of a first draft? That remains to be seen. I'm not going to be too hard on myself if I don't make it. All of these trips are for good reasons, and they all involve activities and people and events that are just as important as word count—especially since Justin and I don't get to see our families as often as we'd like. That said, I'm going to work toward a May 31 goal! Each week, I'll share my progress toward the finish line, whether that's word count or chapters revised. How's everyone else doing with writing goals and such? Go Team Mazama! The fabulous YA Bucklers are: Kate Scott, Emma L. Adams, Winter Bayne, Riley Darkes, Angel Leigh, and Tonette de la Luna! Visit their blogs or follow them on Twitter to see other writers in action. 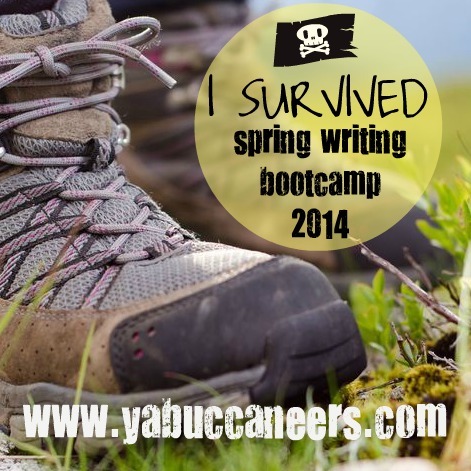 And if you're new to this bootcamp business, learn more at the YA Buccaneers' website! I have to say that Month One of bootcamp has been great for me. I've accomplished exactly what I set out to do, and it's been wonderful to know that so many other people are writing and revising as well. Team Mazama is chugging along on our individual goals, and I'm thrilled to have such a genuinely nice group of gals holding me accountable. I know I can accomplish so much more in the months to come! That said, going forward, things will get a little fuzzy… because I have no idea what my goals are for April. A lot depends on what my agent has to say about the two WIP samples I sent her. Will she want me to revise the two excerpts further? Push forward on finishing a draft of one project or the other? Work on drafting both simultaneously? I have no idea! So, this week, once I send in my YA pages, I am going to go easy on myself. I'm going to try to make a dent in my ever-growing books-to-read pile. I'll do some brainstorming, thinking about how I would like to move forward with both projects, so I'm ready whatever happens. Hopefully, I'll get to hash everything out with my agent and come up with a proper plan for what's next. Plus, I'll be cheering on my YA Bucklers as several of them start Camp NaNoWriMo tomorrow! Go team! Just a quick check-in today, because I'm off and running on what is going to be a very busy week! I'm in a wedding this weekend, so Justin and I will be heading out of NYC on Friday morning—which makes this a four-day week. Normally, that's a big "YAY!" Unfortunately, this week it means cramming five days' work into four. That said, I couldn't be happier to be part of this wedding. The bride is a close friend of mine from college who was in my wedding in 2011, and I can't wait to return the favor and be there for her on her big day. We're going to have a wonderful time! Oh, you wanted to know about writing and such? Right. Okay. Last week, I had two main goals: finish my chapter outline of my YA-turned-MG, and figure out what the heck was going wrong with my YA WIP. And I made progress on both counts! I sent my YA-turned-MG sample pages and completed outline to my agent! I am now anxiously awaiting her feedback. I don't know what the next step is, but I know that I am excited about this manuscript and eager to see where it can go from here. I started reworking my YA with a few new ideas in mind. I tried changing from 3rd person to 1st and playing with some new narrative/voice quirks. I changed the role of a main character to add more tension to the plot. I'm about two chapters in, as of this morning, but I think I may be on the right track. My goal for this week is simple: Keep working on the YA with this new direction in mind. I'd love to send the revised/re-envisioned first three chapters to some readers by the end of the week, before I put them in my agent's hands. That said, I've shared the changes I'm considering with a few people, and have gotten a positive/intrigued response—so that's probably a good sign! Onward and upward, right Team Mazama? Go Bucklers! Is it St. Patrick's Day already? I can't believe we're more than halfway through March—especially given the latest cold snap that's hit NYC. Sigh. 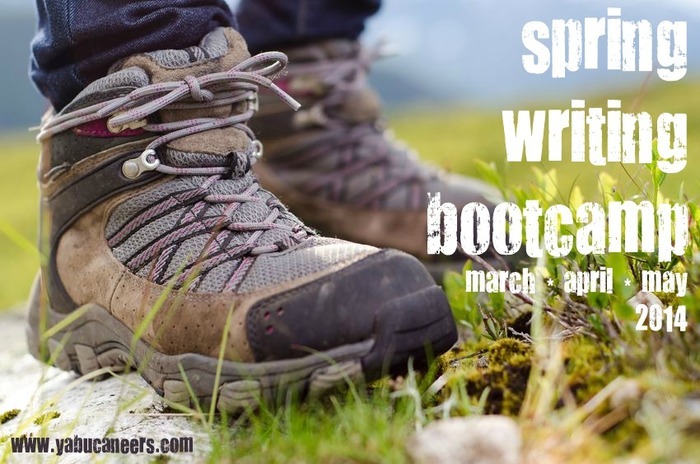 Well, chill in the air notwithstanding, the YA Buccaneers' Spring Writing Bootcamp is going forward full-force! Here's my Week Two check-in. 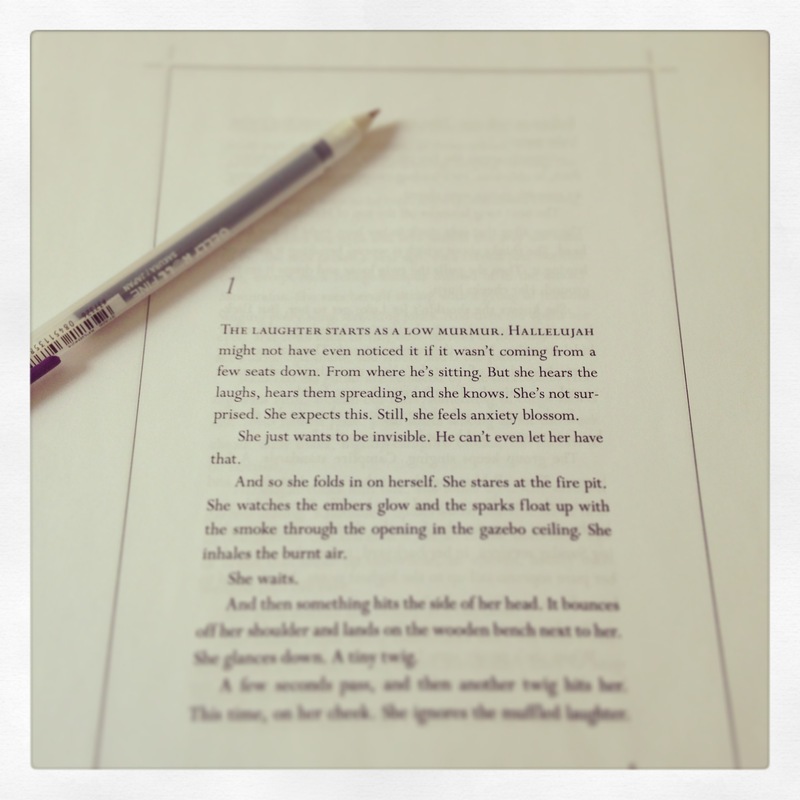 Last week, I wanted to start reworking the first 50 pages of an old YA manuscript into middle-grade. And on Friday afternoon, I got to the end of the set of chapters I want to send to my agent! Of course, I'll read over everything a few (dozen) more times before I send it, but the bulk of that revision work is done. Yay! So what does that mean for this week? I've just spent about an hour and a half starting my chapter-by-chapter outline of the rest of the book, which I'll send to my agent along with my sample pages. I'm starting by going through the manuscript and typing up an outline based on what was there in 2012, the last time I worked on this project. However, I can already tell that I have some revising and rethinking to do. By cutting out a secondary plotline (that honestly does need to go), I'm losing a lot of interaction with an important character, so I need to find a way to keep that character in the story in other ways. I'm also noticing some pacing issues in the middle of the book, which means I'll need to do some condensing and tightening. On the plus side, once I have this outline figured out, revising the whole book (if my agent wants to move forward with that) should be a breeze! I also heard back from my three beta-readers on the first 30 pages of EVERYTHING'S BEAUTIFUL. I got some mixed feedback, so I need to sit with it and think about how I want to move forward. This book has been frustrating me a little bit because I love the idea and want so desperately to get it right…and I can't quite seem to crack it. But maybe this will be the week that something clicks and it starts to fall into place. it can't hurt to hope, right?